Daniels Waterfront is a mixed-use retail/office/institutional/residential complex planned for the Queens Quay at Lower Jarvis Street on Toronto's Waterfront, with towers as high as 45 storeys. 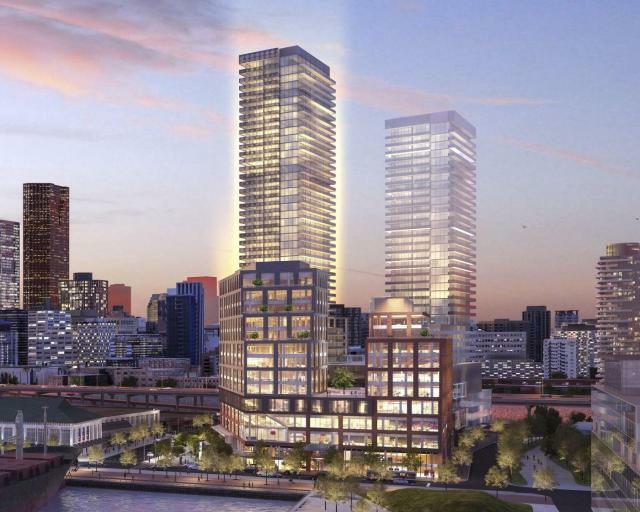 Daniels Waterfront project is situated on a prominent site on Toronto’s waterfront. The mix of uses proposed will create a truly diverse neighbourhood with employment and resident populations approximately equal.